17 july 2010 - Cairo, Midan Ismaillia. 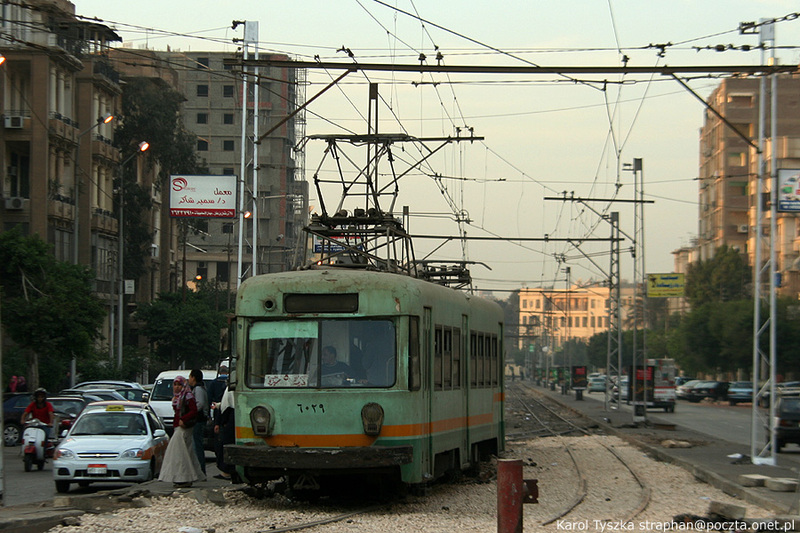 A route 5 tram (El Matariya - Midan Ismaillia - the shortest in Cairo) has just arrived at the terminus. The new trackbed suggests a reactivation of the curve connecting the no. 5 on Omar Ibn El Khatab street with Osman Ibn Afan street where a route of the Heliopolis Metro runs. However, given the state and the perspectives of the Cairo network, this is a step towards the rationalisation of the network when further sections of it will be taken out of use.